Stay cool by the pool with the sweet Ice Cream swim shorts. 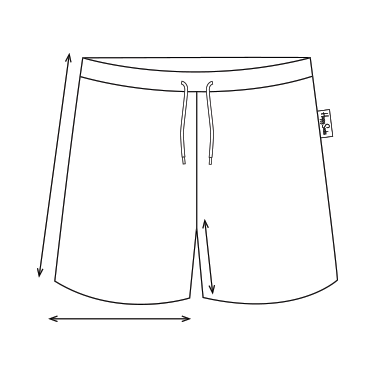 Designed with supportive mesh lining and a classic elastic waist with drawstrings for a comfortable fit during and after swims. The delicious pattern features more than plenty of ice cream cones to satisfy your hunger for personal flavor. Available in small, medium, large and extra large.